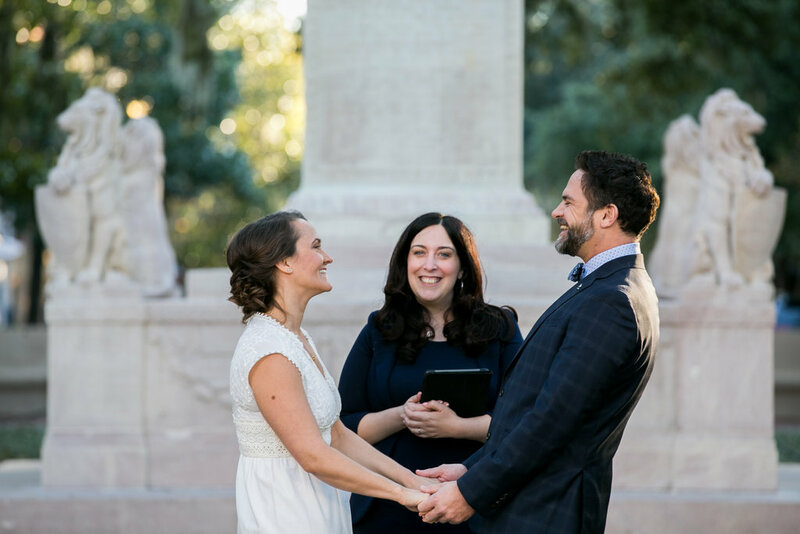 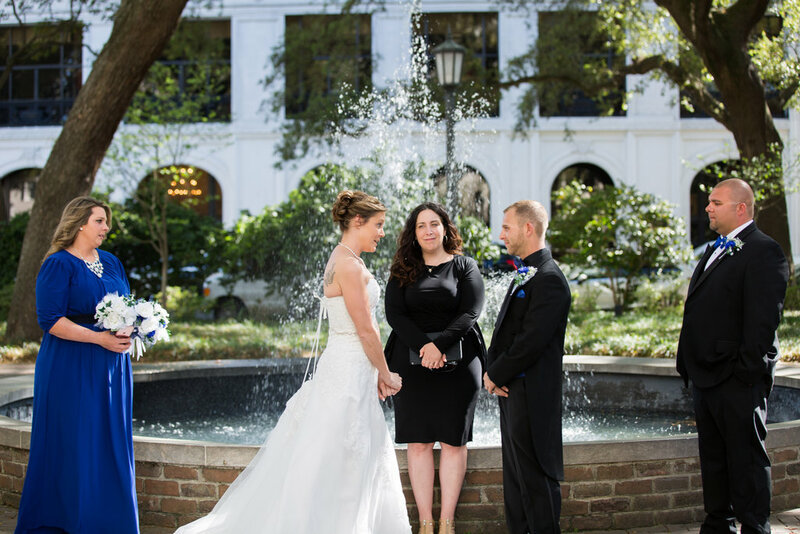 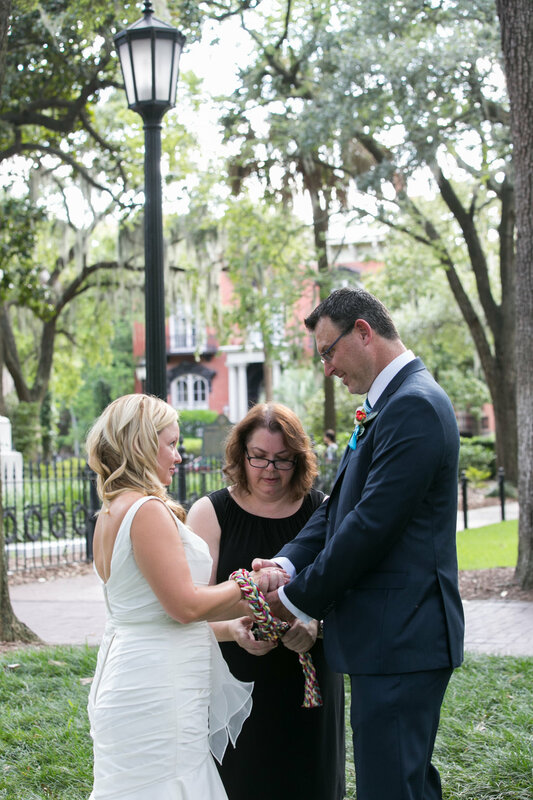 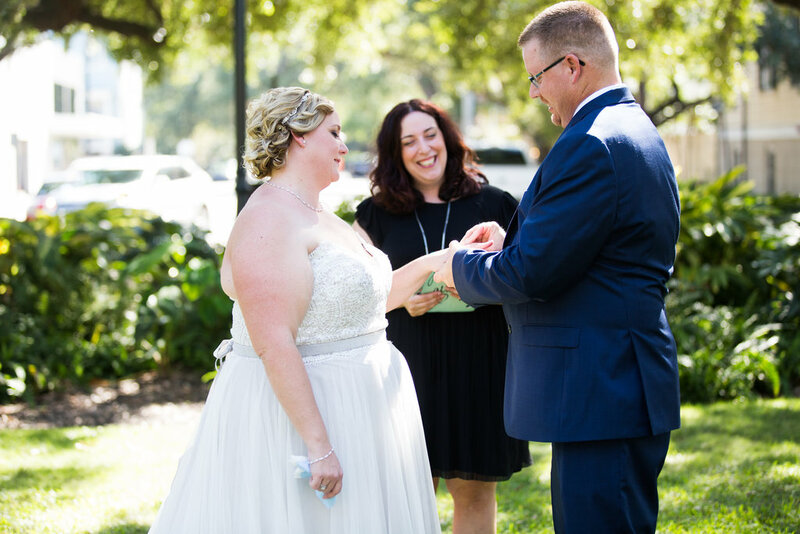 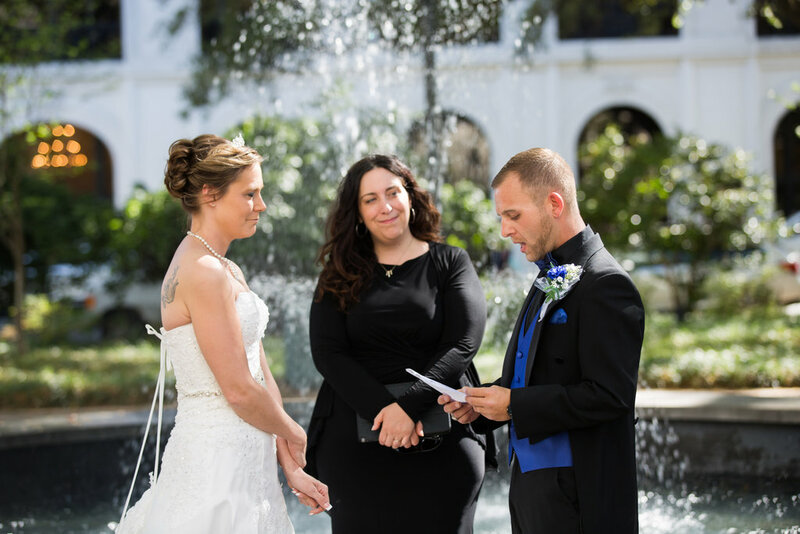 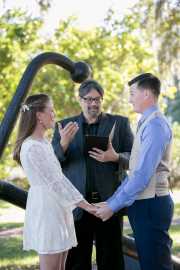 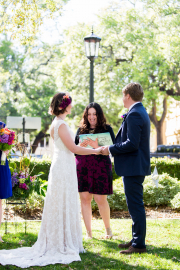 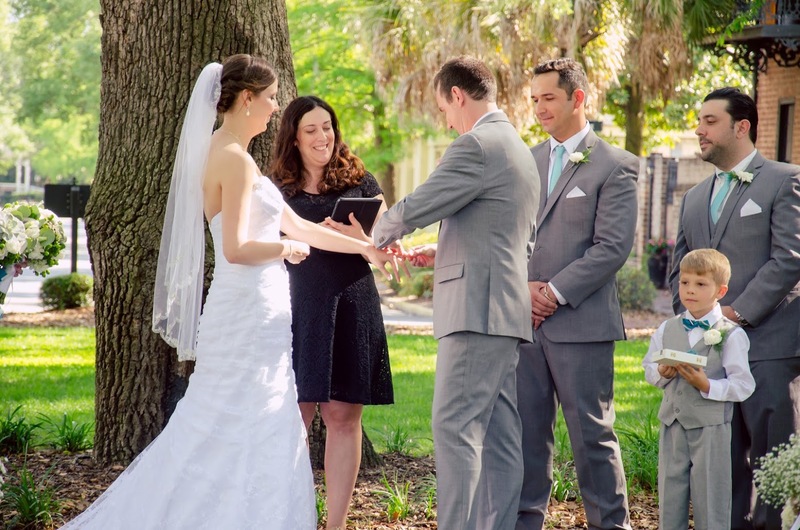 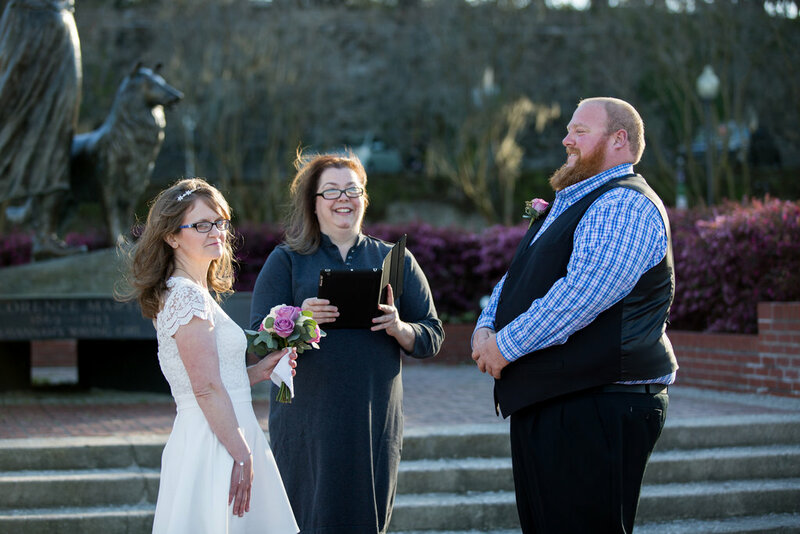 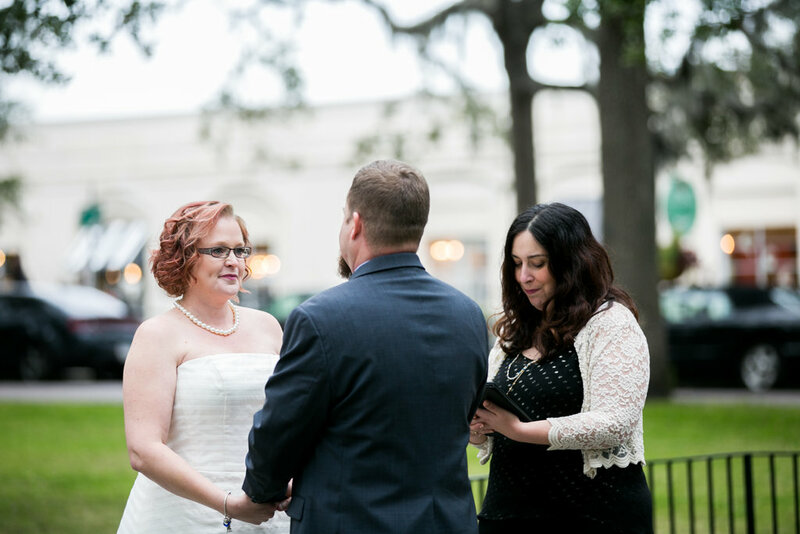 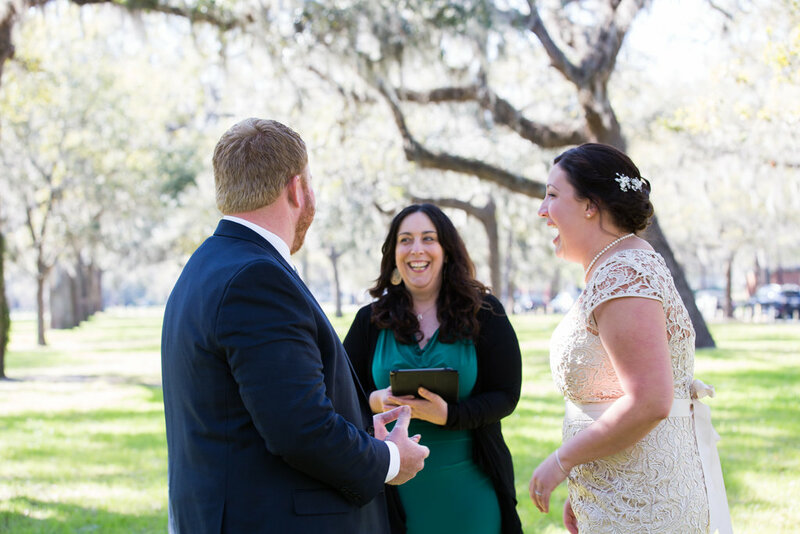 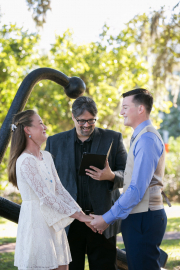 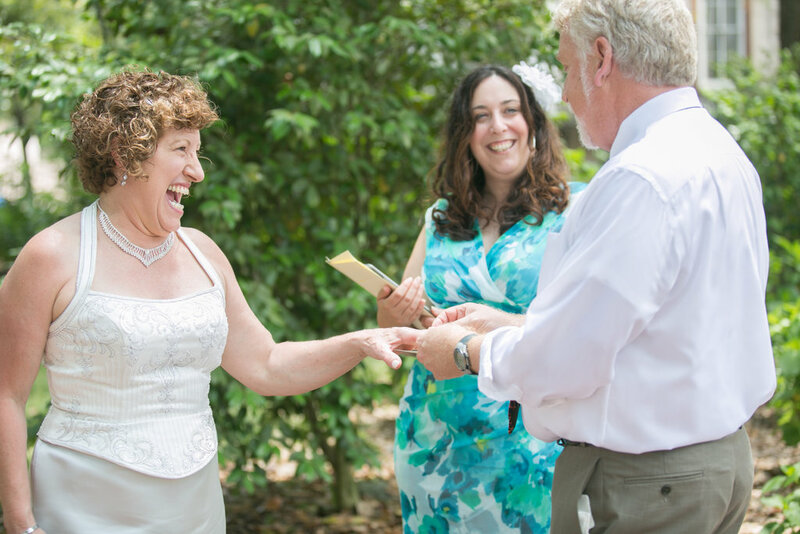 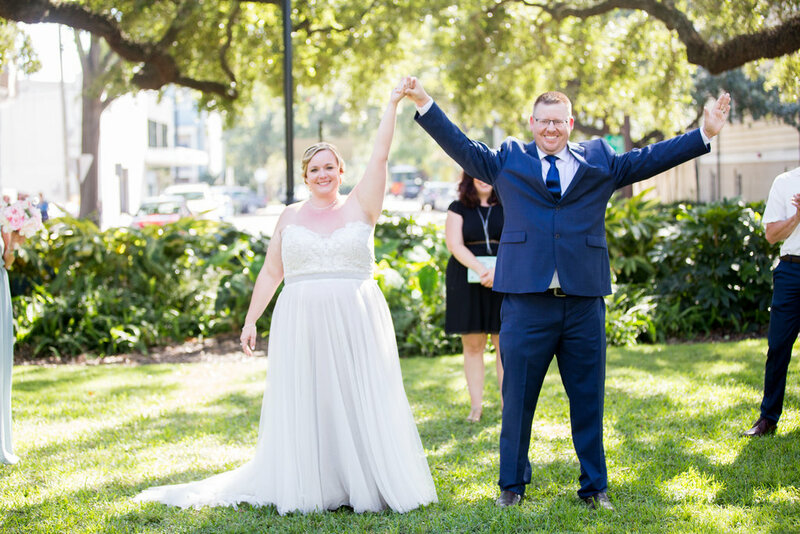 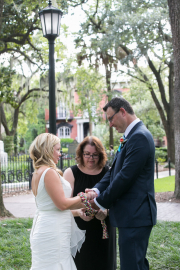 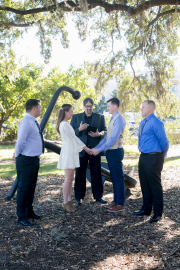 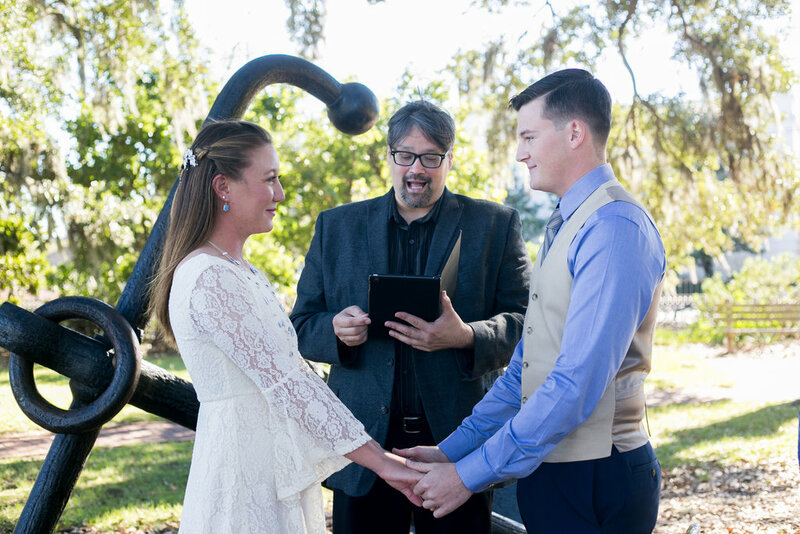 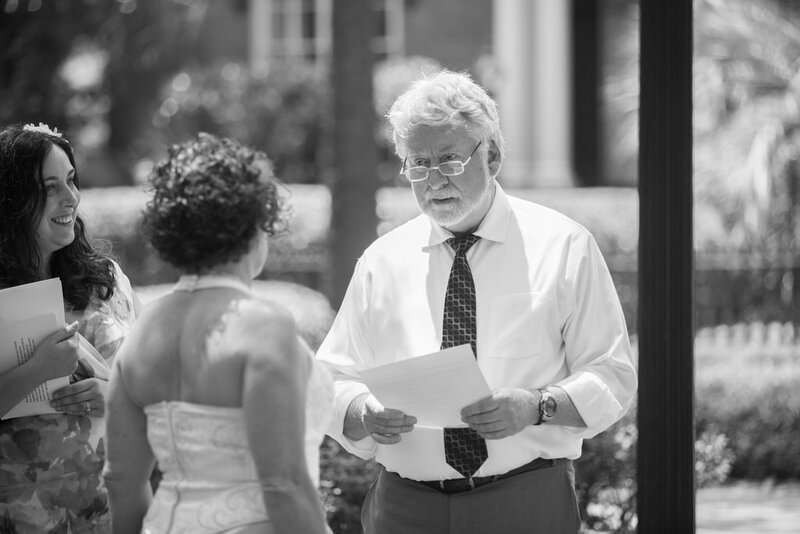 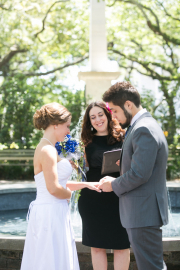 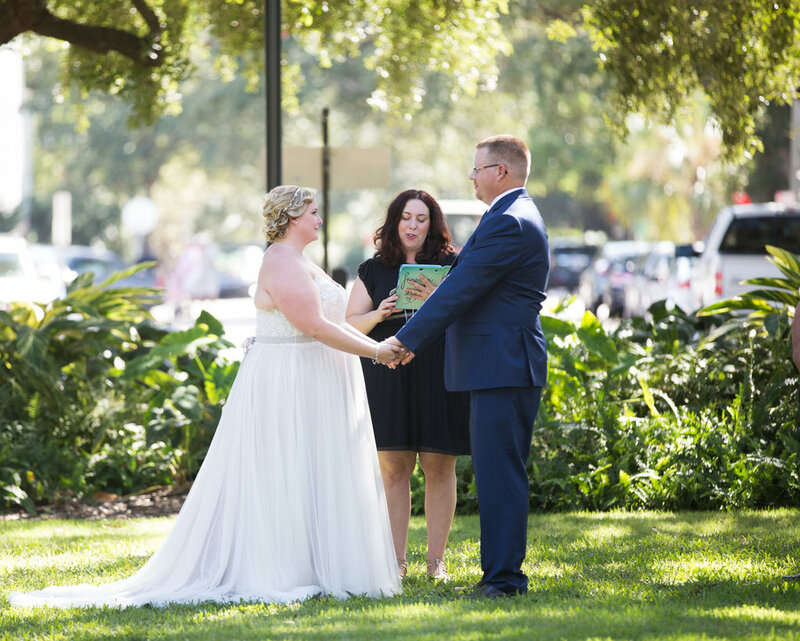 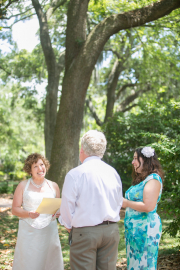 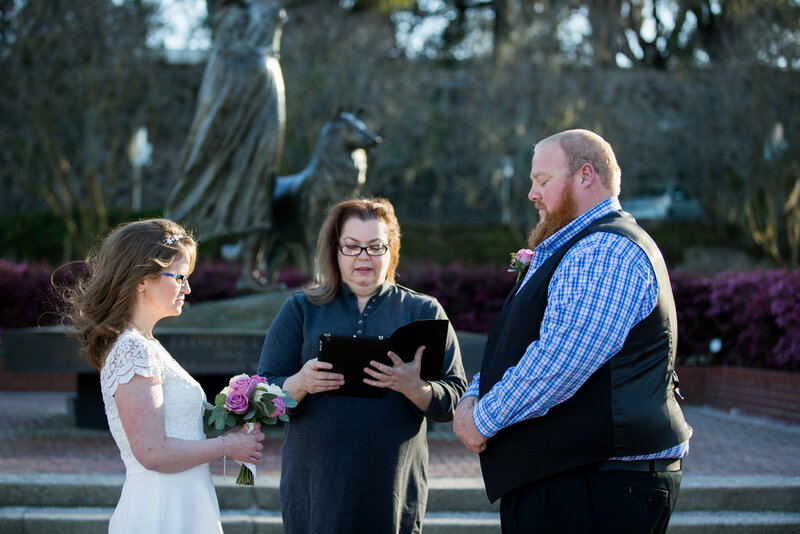 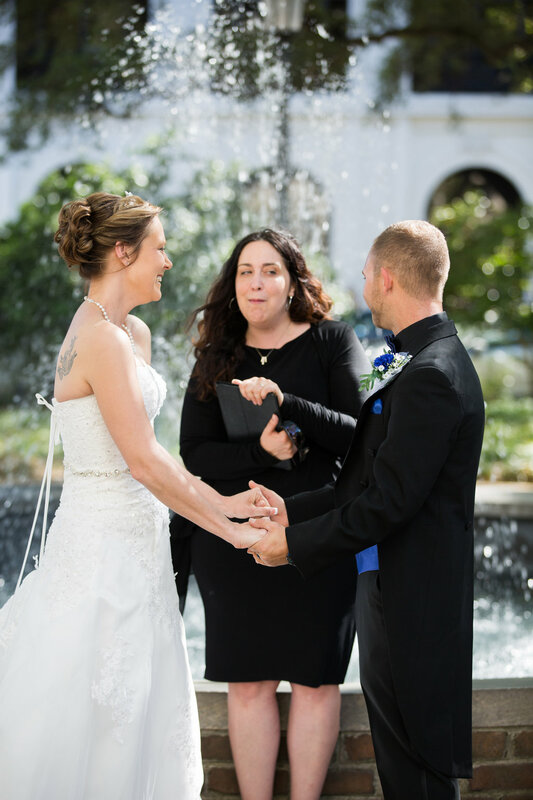 We don’t get frequent requests for weddings in these squares, but many of them are great options for your wedding or elopement ceremony in Savannah. 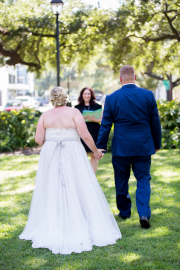 Here are my summary thoughts on the locations featured in this gallery. 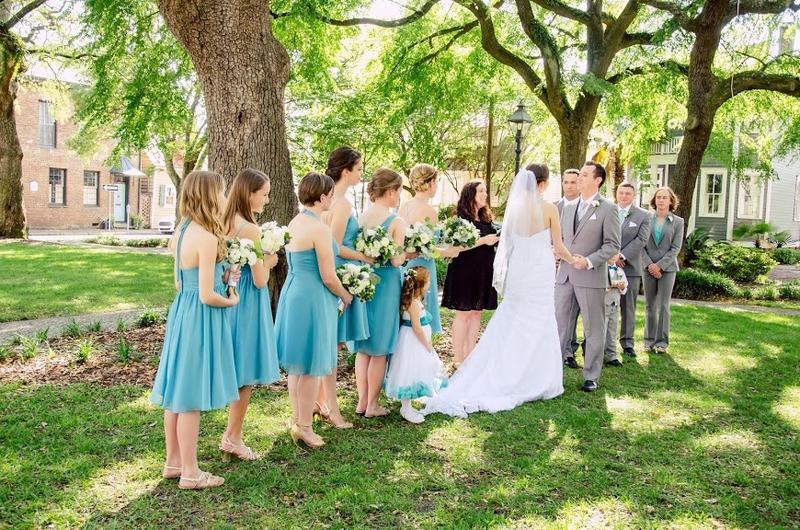 If you have a larger wedding, Greene, Warren, and Washington (not pictured) provide a lot of green space. 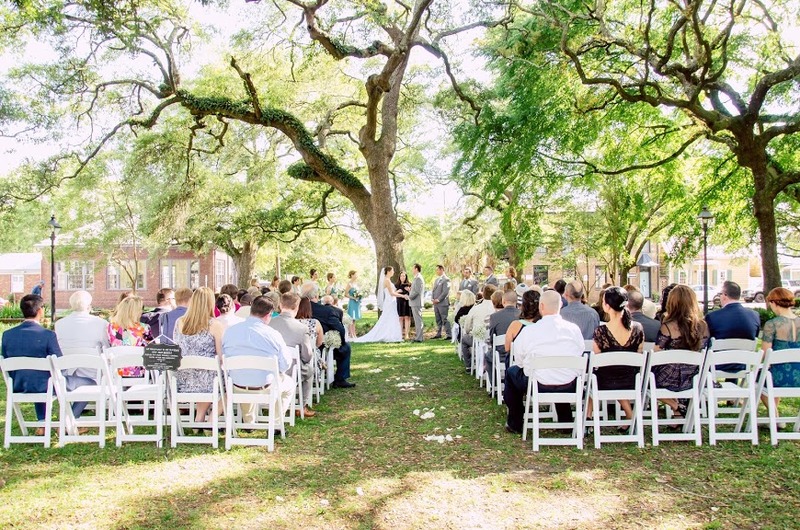 Telfair Square is popular for large weddings and festivals because of its proximity to the Telfair Museum kitchen. Crawford Square has a wonderful gazebo and amazing trees! 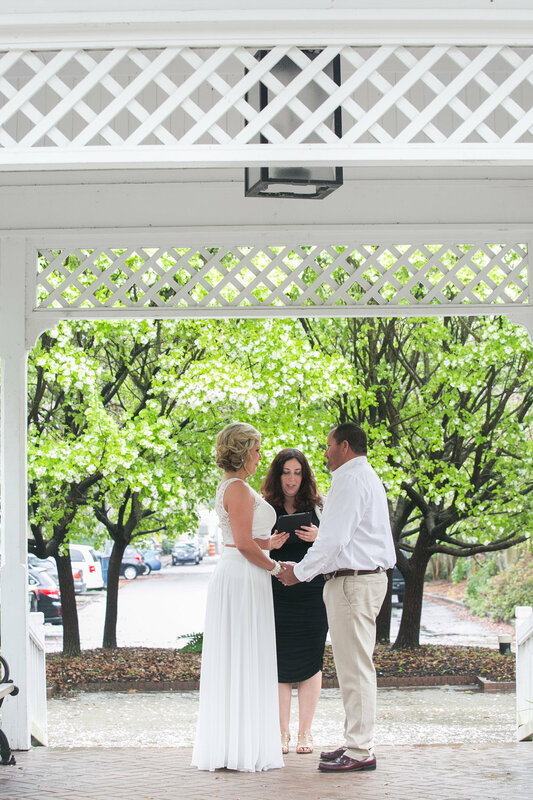 It does have a basketball court on one side so it can be busy at certain times of day. 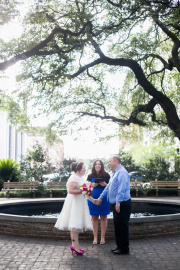 Chippewa Square is very pretty, but the busiest square in Savannah as it was the setting for much of Forrest Gump. 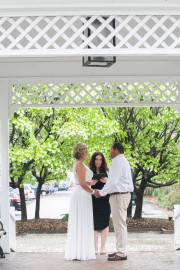 We have only been able to pull of ceremonies here during the summer and winter seasons. 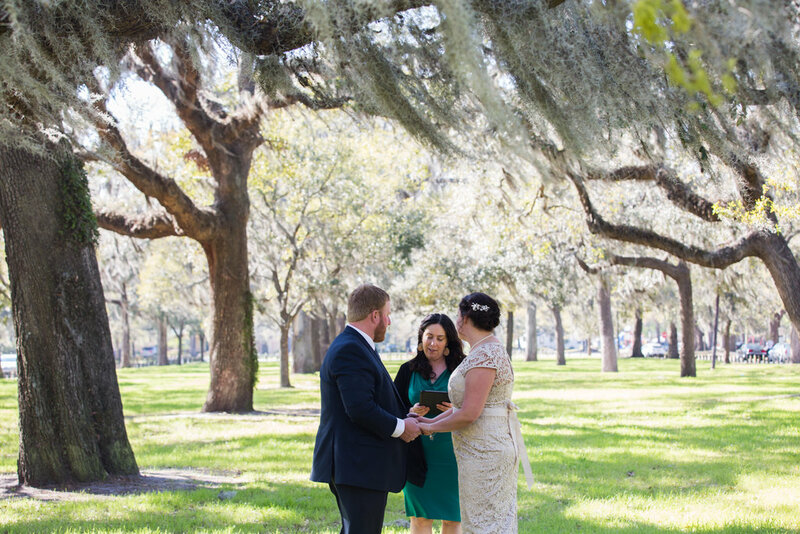 It is a great place for a post-ceremony photo, though. 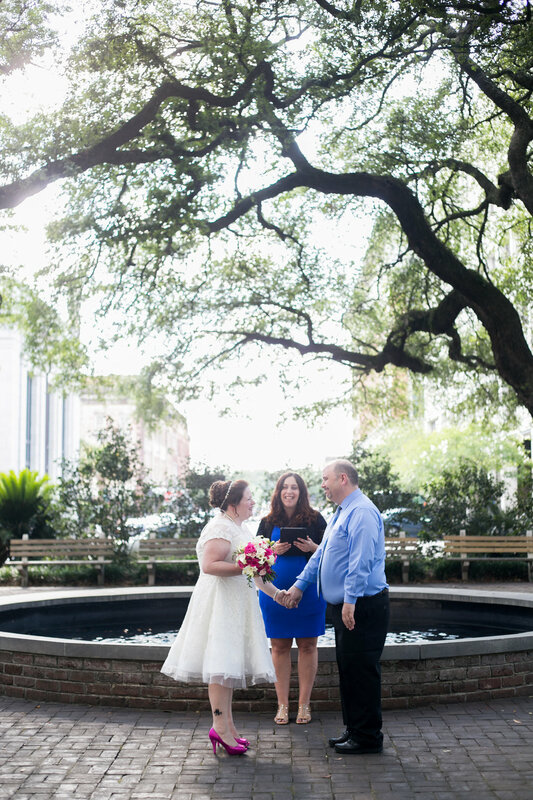 Johnson Square is also very pretty, but it is a very busy square after 11AM. 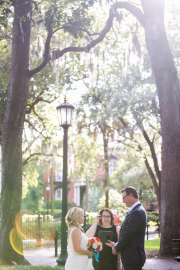 It is also the takeoff place for the famous Savannah Slow Ride, making it very loud when one makes its way across the square. 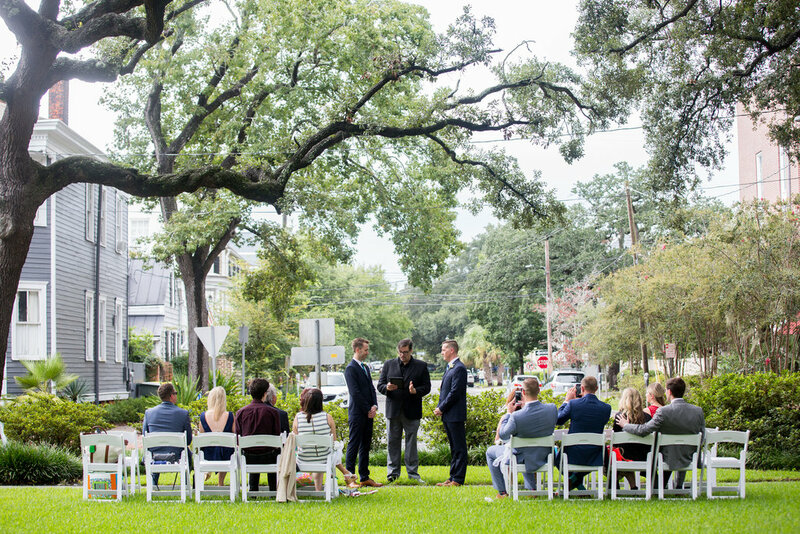 Johnson is one of the only squares that can accommodate big groups of 250+. 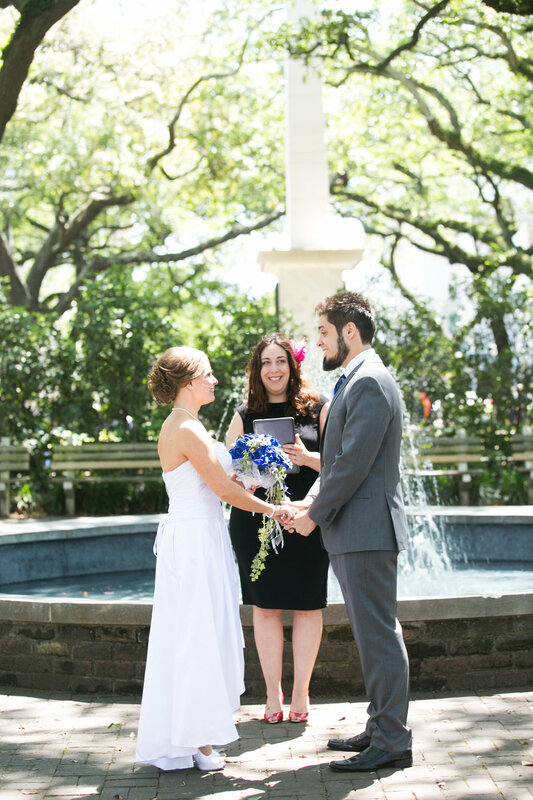 Monterey Square is very small, and split into four quadrants, but some couples request it because of its proximity to the Mercer Williams House, featured in the book and movie Midnight in the Garden of Good and Evil. 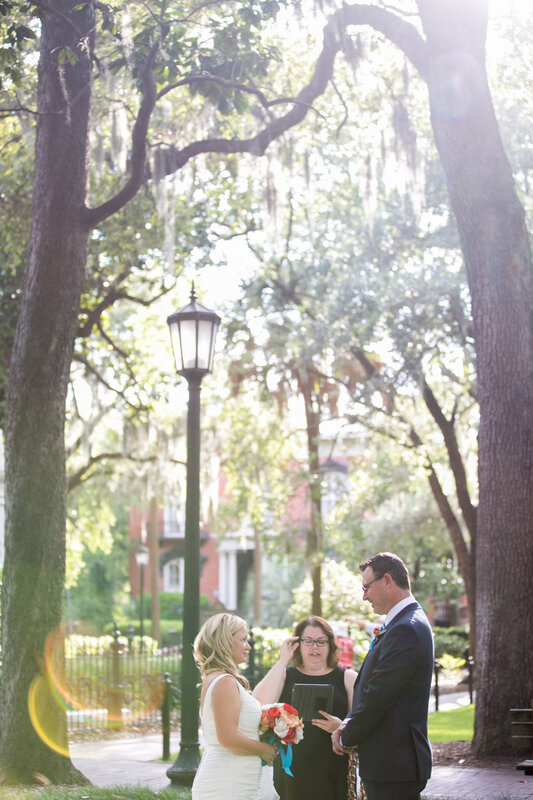 The lighting here can be great in the late afternoon and early evening. 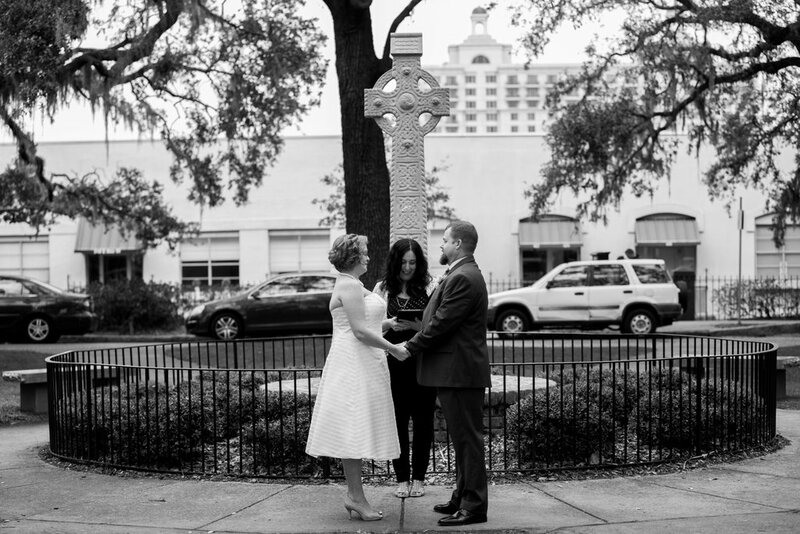 Calhoun Square is big and accommodates up to 100 guests, but it also has a haunted past. 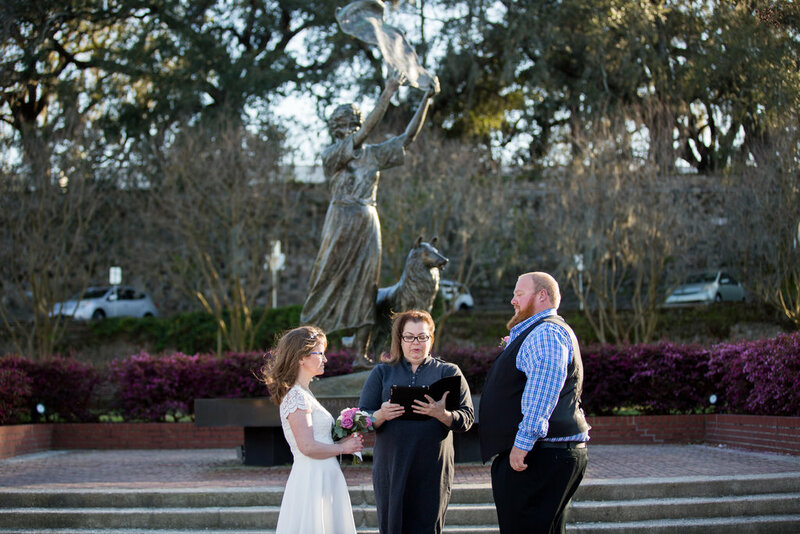 Emmet Park is off of Bay Street and Morrell Park is on River Street and features our famous Waving Girl statue. 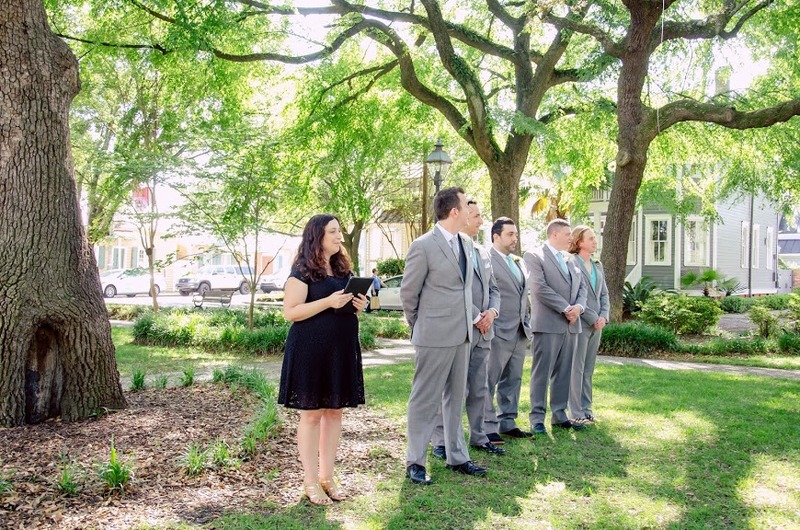 Daffin Park is a park in midtown Savannah known for athletics and cannot be reserved for weddings. However, it has some great photography options for elopements. 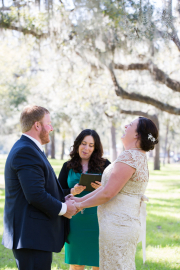 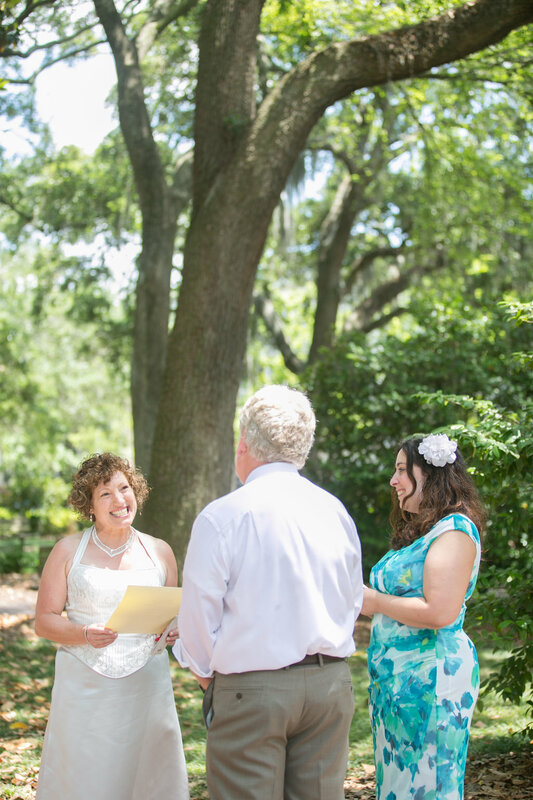 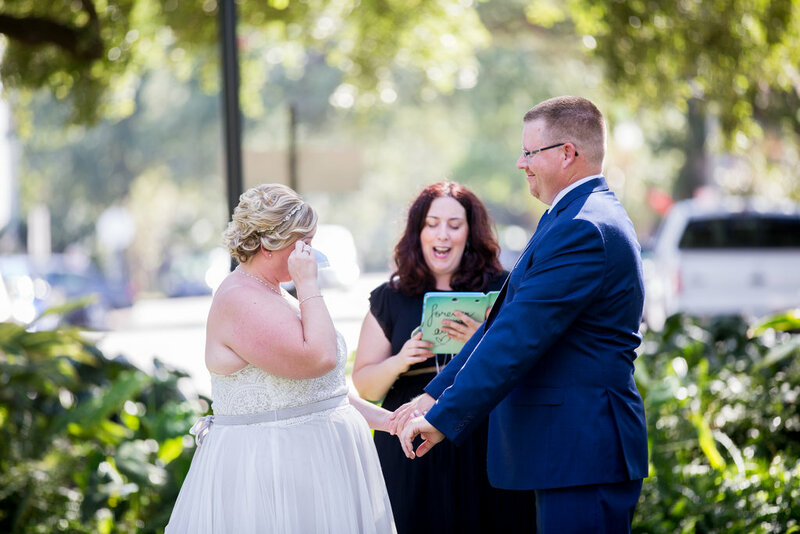 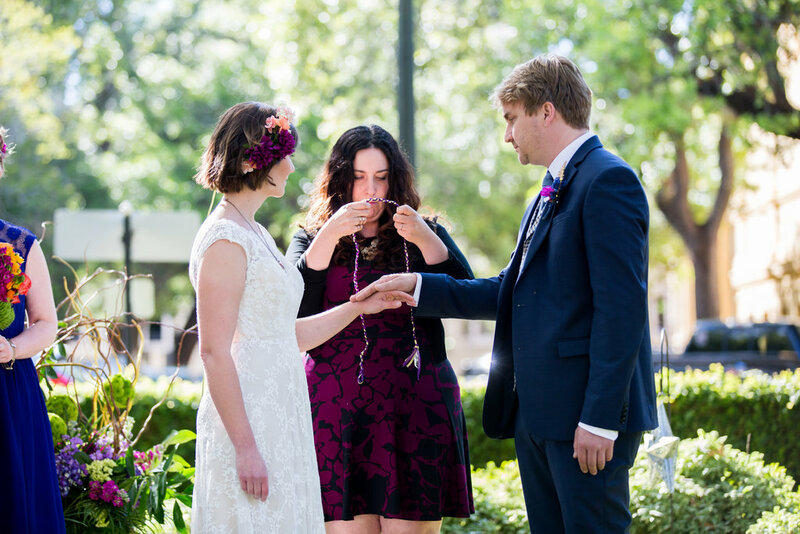 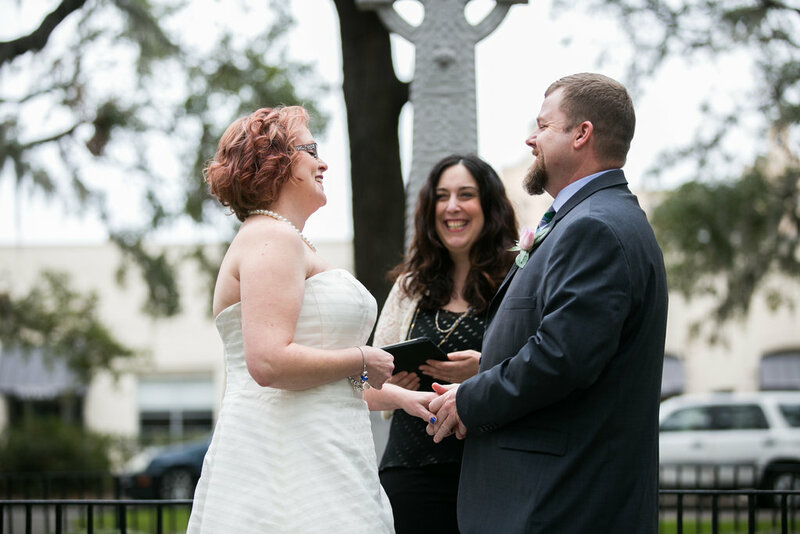 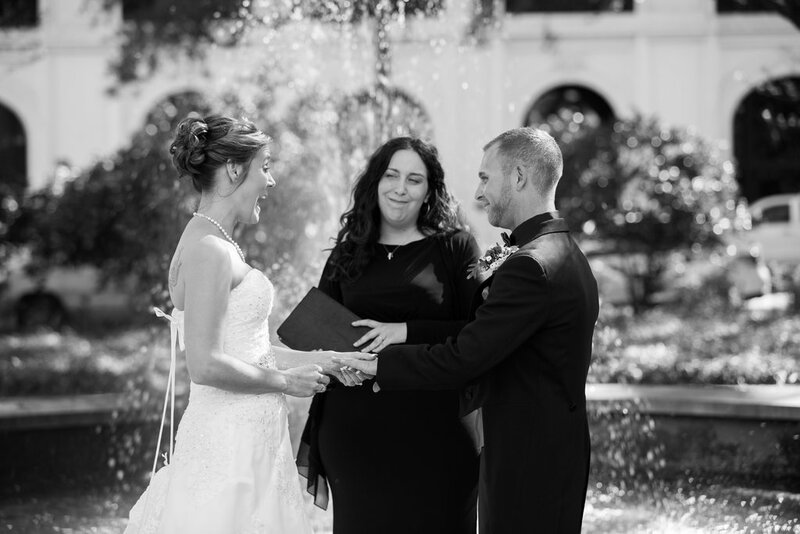 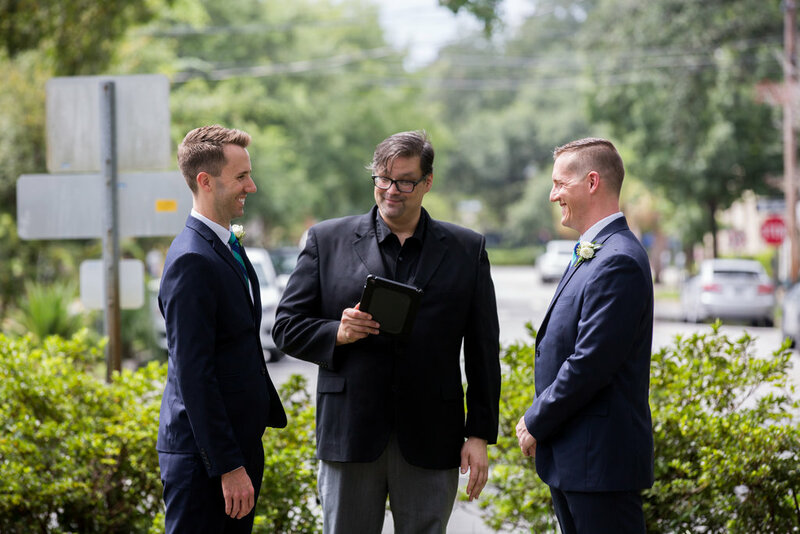 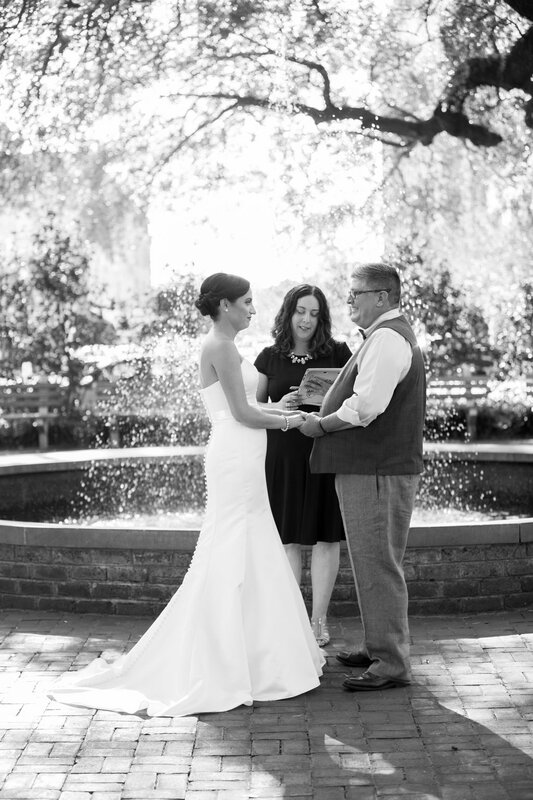 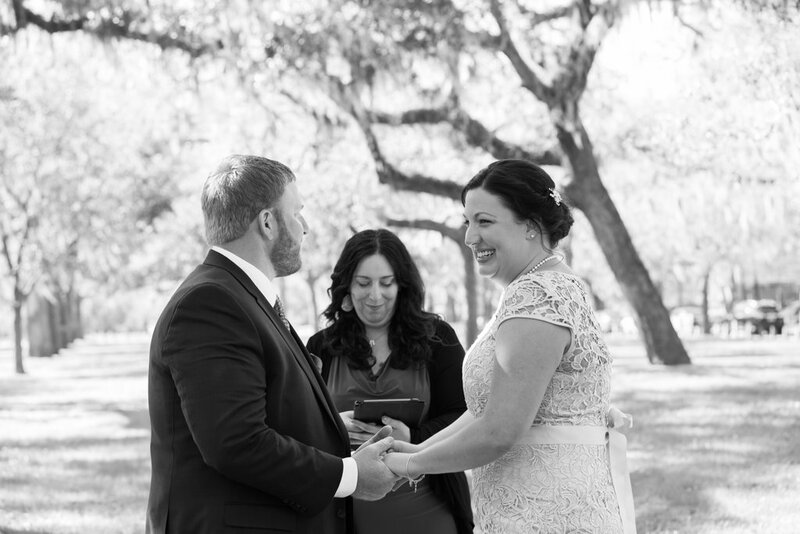 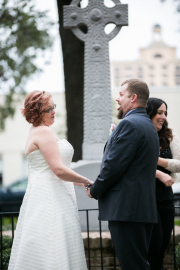 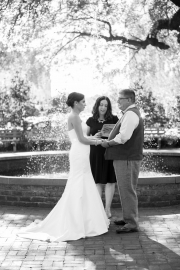 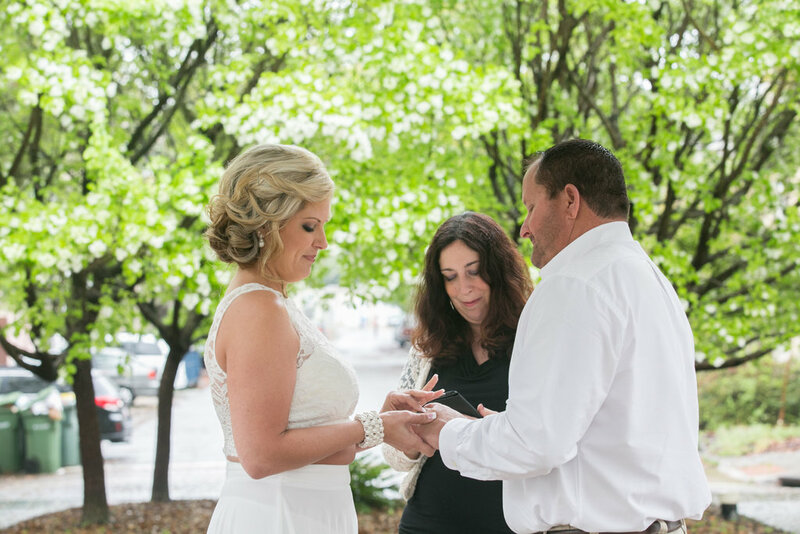 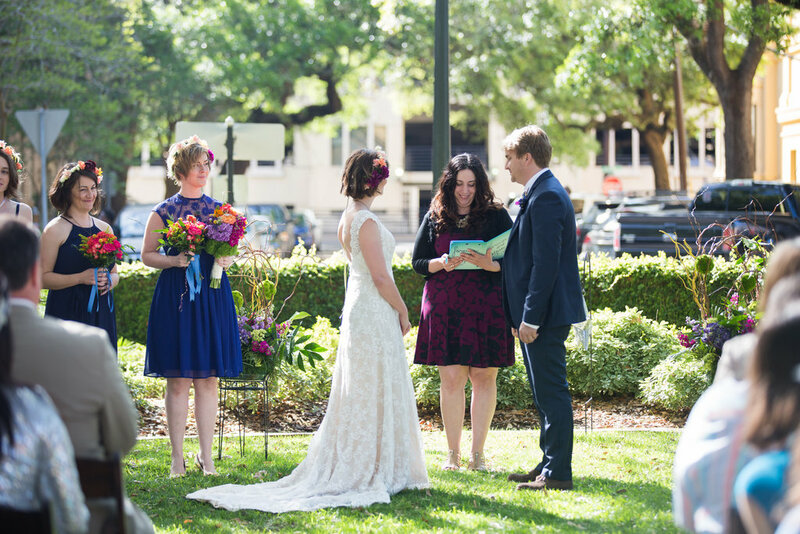 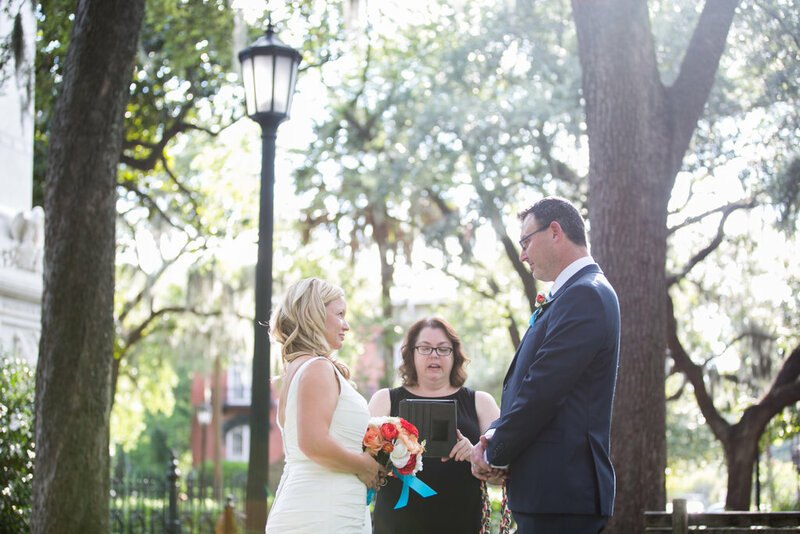 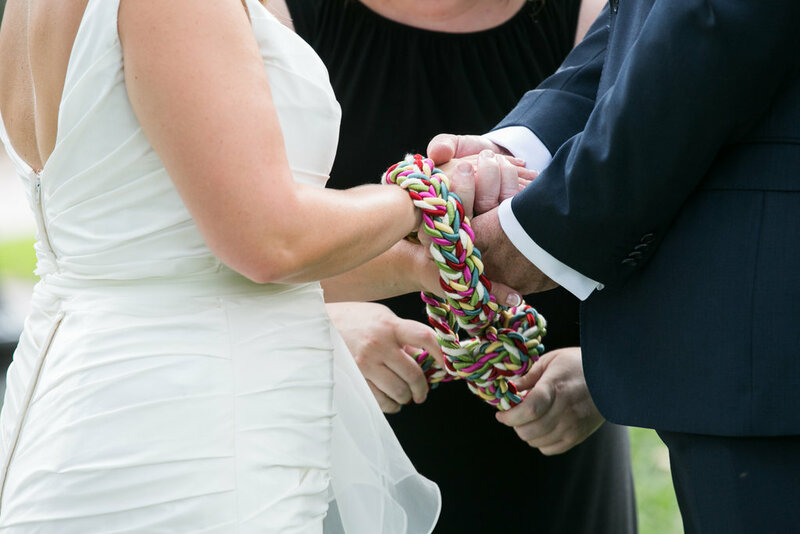 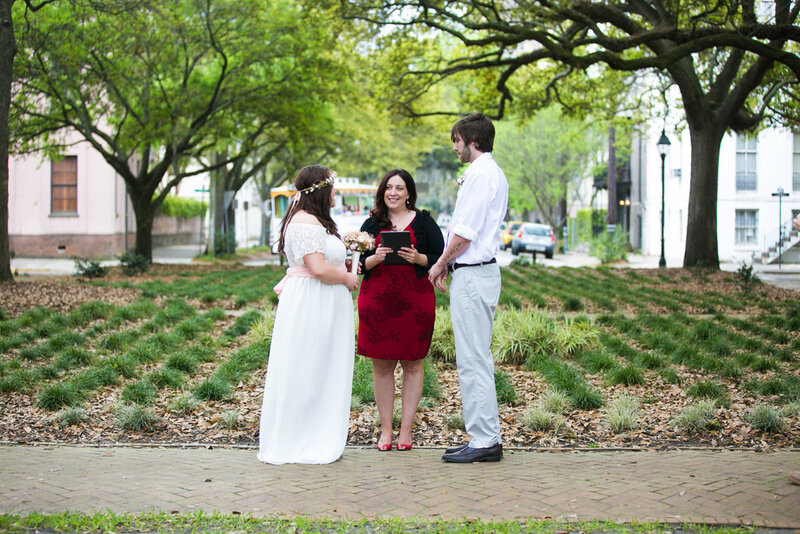 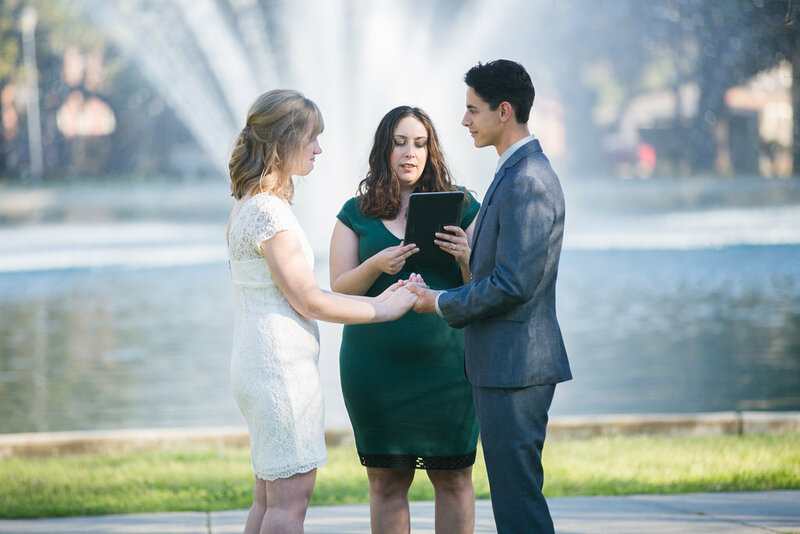 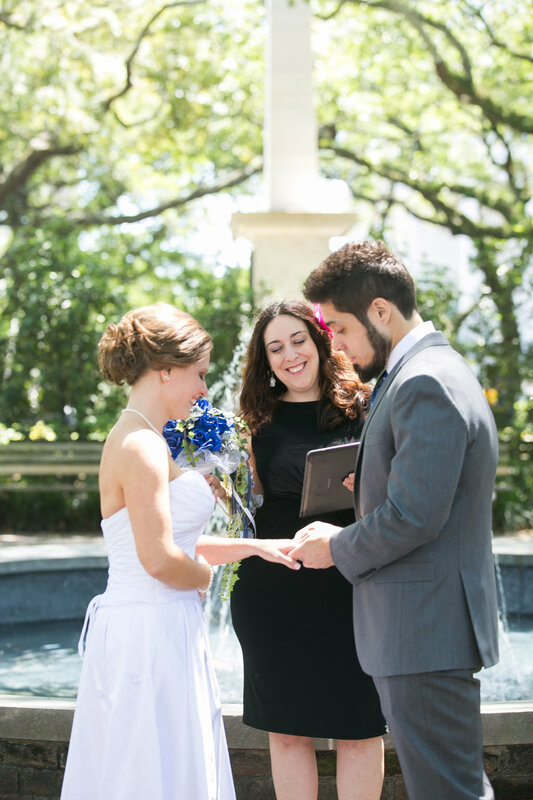 Enjoy our gallery of elopement and wedding ceremony photos in these Savannah squares!